This style works very well to add the optional loft which increases the storage capacity dramatically. 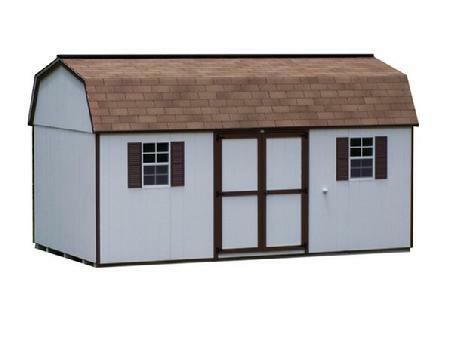 The higher head room makes this shed a good option for a workout room or good storage for taller merchandise. Perhaps you just like the gambrel appearance.